Last week, Atlantis shuttle astronauts were busy packing up more than 2 tons of old equipment and trash from the International Space Station, using a cargo hauler for transport back to Earth. The mission took 6 astronauts working 150 hours over 13 days to complete! Houston! We have no problems! Back here on Earth we have PODS® containers to help move and store across town, the country or even across the pond! To have your very own space station delivered to your door, without out-of-this-world prices, visit PODS.com. It’s Sunday and I am pulling out of my gated condo community. 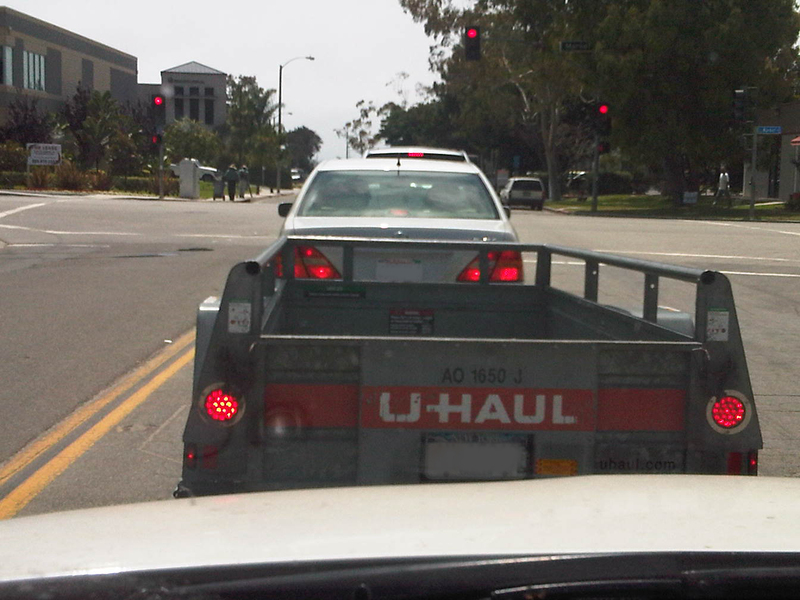 Just at the exit and across the street is a U-Haul truck parked. A few people are scrambling inside and carrying belongings down the ramp and across the street to the community I live. What? Why would they do this? Do you know how many extra steps this is? I actually snickered when I saw it, and then snapped a picture with my BlackBerry phone. (It is an actual picture by yours truly). Do these people not know there is an easier way to move? They clearly did not read my blog and need to, desperately! I am the Diva on the Move. You are not. And this is why I exist – to bring enlightenment to the masses that are perplexed with moving, storage, remodeling and whatever else I can throw at you. I am here to help. PODS® is here to help you, too. PODS makes moving so easy, blog fans. All you have to do is call for a scheduled delivery of a PODS® containerand ask the friendly driver place it where you desire (I highly recommend on your driveway with the open door facing your home). Next, start loading or unpacking at ground level. No ramps, no steps to climb or descend, and no streets to cross. Plus, you won’t blow out your pedometer tracking back and forth just to find your favorite pair of pink bunny slippers. Ok, that last observation was for me. It’s a fact: We tend to want to get things done quickly and often ignore safety precautions when it comes to lifting heavy objects such as appliances, sofas and bulky furniture.The beauty with using PODS® container for moves is that you can take all the time you need and not rush the process. Plus, loading is at ground level, which means no pushing uphill or ramps to navigate. In fact, PODS may actually be beneficial to your health! The first rule of thumb when loading is to use some common sense safety tips to get the job done right and stay healthy! 1. Test first, Lift second: When lifting a sofa, appliance or other big piece of furniture, squat down near a corner and carefully lift until the approximate weight can be assessed. Then set it down and come up with a game plan on how to best maneuver it to the PODS® container. 2. Slip and Slide: Sliders are pieces of felt or round plastic discs placed under the legs or corners of furniture. With these in place, sliding heavier items across floors and carpets is easier than lifting, until you cross a threshold and need to carry it the rest of the way. 3. The Gloved One: It is a good idea to invest in a pair of heavy gloves and wear when lifting and moving heavy appliances. Many injuries occur when objects slip out of people’s hands. Gloves will enable you to get a better handle on the piece you are moving and make you less likely to drop things. 4. Hello Dolly! Using moving dollies or hand trucks is highly suggested to prevent injury. Although these tools bear most of the weight, when you get to a doorway or other obstruction, you’ll need to figure out another way to move the piece to the PODS® container. 5. Many hands make the load lighter: There is power in numbers, so gather the troops! Having sufficient manpower to lift and balance heavy objects can help with weight distribution in tough spots such as stairways, doors or small spaces. Visit PODS.com today for more information. Look, when you’re preparing to move and there are boxes stacked all around your once tidy abode, it’s like you ripped open a bag of flour and it sprinkled everywhere. Moving is kind of like that bag of flour – a mess everywhere you look! Did you guess? It’s a PODS® container. Vanilla on the outside, chock full of space on the inside with more than enough space to hold all of your moving boxes, furniture, personal goods and all of the Paula Deen bake ware you can handle. There are three sizes of PODS® containers to fit the contents of your home. The largest, 12×16-feet, will transport an average 3-bedroom home. Learn more at PODS.com. Considering downsizing, organizing the garage for changing seasons or just plain streamlining your home? 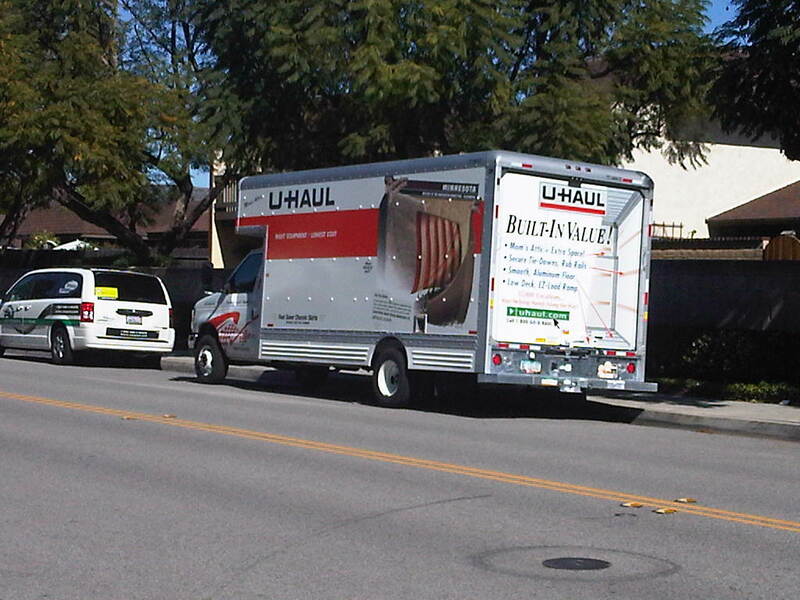 In need of a moving company that can handle long-distance relocations as well as moves across town? Do you need a short or long-term storage solution? Consider PODS® first. This is one company that can handle it all. A national leader of moving and storage, PODS® containers are constructed of a steel frame and available in three sizes to fit your needs: approximately 7-by-7-by-8 feet, 12-by-8-by-8 feet and 16-by-8-by-8 feet. Using its patented PODZILLA® lift system the container is gently placed on the ground or on a PODS transport truck for highway travel to your destination or nearest PODS Storage Center – state-of-the-art warehouses designed specifically for PODS. Founded in 1998, PODS currently provides moving and storage services to a population of more than 245 million consumers and businesses, in 48 U.S. states, Canada, Australia and the UK, through its company-owned and independent franchise network. To date, the PODS network has completed more than 300,000 long-distance relocations, exceeded 1,600,000 deliveries and has nearly 141,000 PODS® containers in service. For more information or to schedule service, visit pods.com or call 800-776-7637. Many snowbirds today maintain residences in two or more different cities or states, traveling throughout the year to warmer climates. If I was a snowbird (but alas, I am not), I would want to bring lots of things with me for the winter – stuff that won’t fit in a suitcase or my mid-size SUV, which I also want to bring with me. How can I bring my car, all my stuff, pets, furniture, golf clubs and big umbrella? There are evidently 3 choices: Call a traditional moving company ($$$$$), rent a truck and drive the entire route ($$$$) or I can call PODS® ($$). Located in 48 U.S. states across the country I know there is a PODS franchise that can deliver directly to where I’m going to roost for the winter and I won’t have to spend all of my green to do it.